I love all things vintage (hence my blog name!) and since I moved into my flat at the end of last year, I’ve been adding hints of vintage to my home interior wherever I can. Retro style is a great interior choice due to it being timeless; think rustic charm, nostalgia and 50’s glam. Take yourself back to a particular era or remind yourself of a certain period of time by adding a hint of vintage style to your home. The distressed look is the perfect way to incorporate an antique feel in your home and can be easily and cheaply created. Upcycling furniture is so popular these days and is surprisingly easy to do yourself at home. 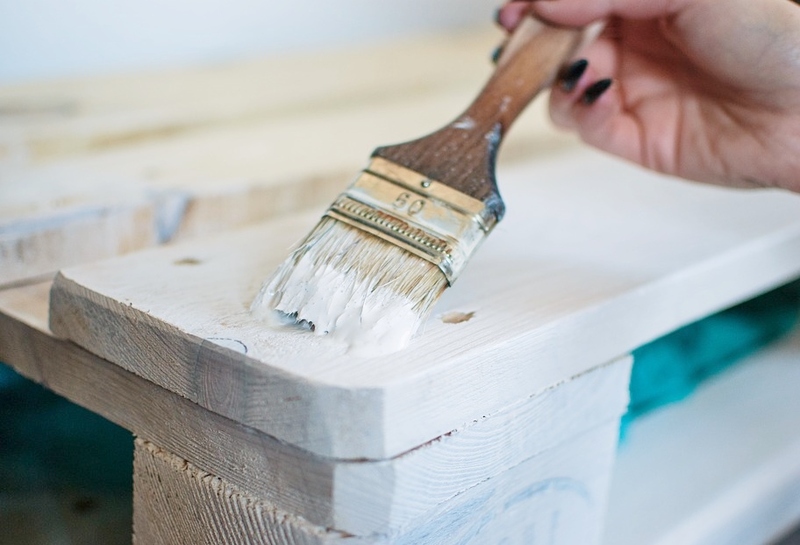 My preferred way to upcycle furniture is simply by giving it a sand down and then a lick of paint. The texture is important when it comes to furniture; your furnishings should tell a story with cracks and scratches so using vintage wooden furniture is perfect to get this look. 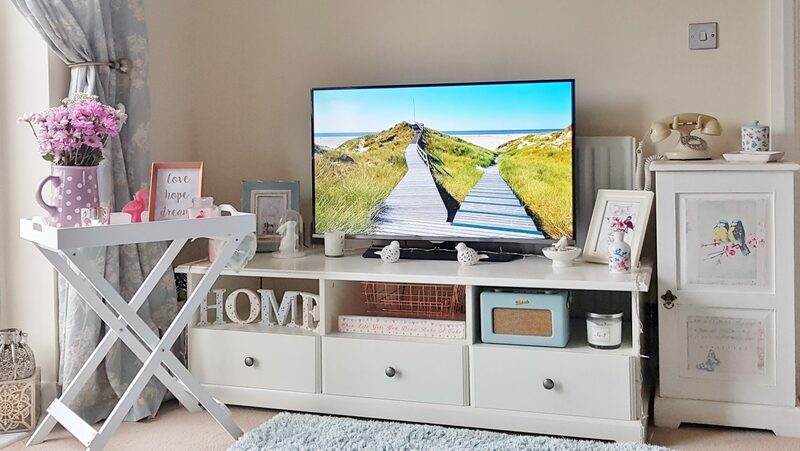 You can pick up cheap wooden furniture online by scouring Facebook marketplace, searching local furniture charity shops, or even car boot sales. Industrial style lighting can add an edge to any room of your house; it’s all about stripping it back and taking it back to basics. Metallic finishes are the perfect finishing touch, so whether you prefer warmer-tones such as brass and copper, or cooler-tones such as silver and pewter, vintage lights put a twist on your interior design. I prefer a copper finish and have incorporated this tone of metal in my living room to complement my pastel colour scheme! Lighting is a key aspect of interior design and one many people forget; the right light has the ability to change the dynamics of a room, from being poorly-lit and boring to inspiring and cheerful. You should consider which light would complement each and every one of your rooms. 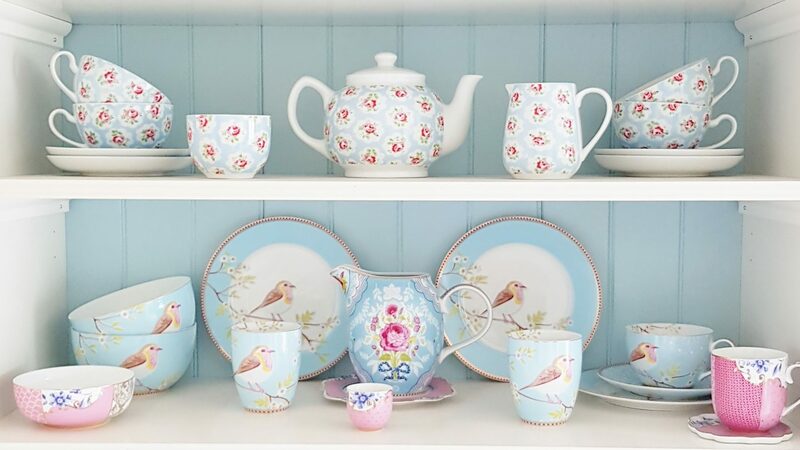 Think back to the ‘50s when women would wear pastel coloured swing dresses and the crockery was covered in pretty floral prints. Fast forward seventy years and pastel tones are more fashionable than ever! These shades act as the sunshine in a room and are an easy way to brighten up any interior; vintage style doesn’t always have to be rustic. Mint green, turquoise, lilac, pale yellow and pink were seen splashed all over homes back in the ‘50s, from the kitchens to the bathrooms. I love Cath Kidston floral prints; they have vintage style down to a tee! Retro design is about incorporating unusual and quirky adornments, the perfect way to channel this trend is by plastering your walls with eccentric wallpaper. 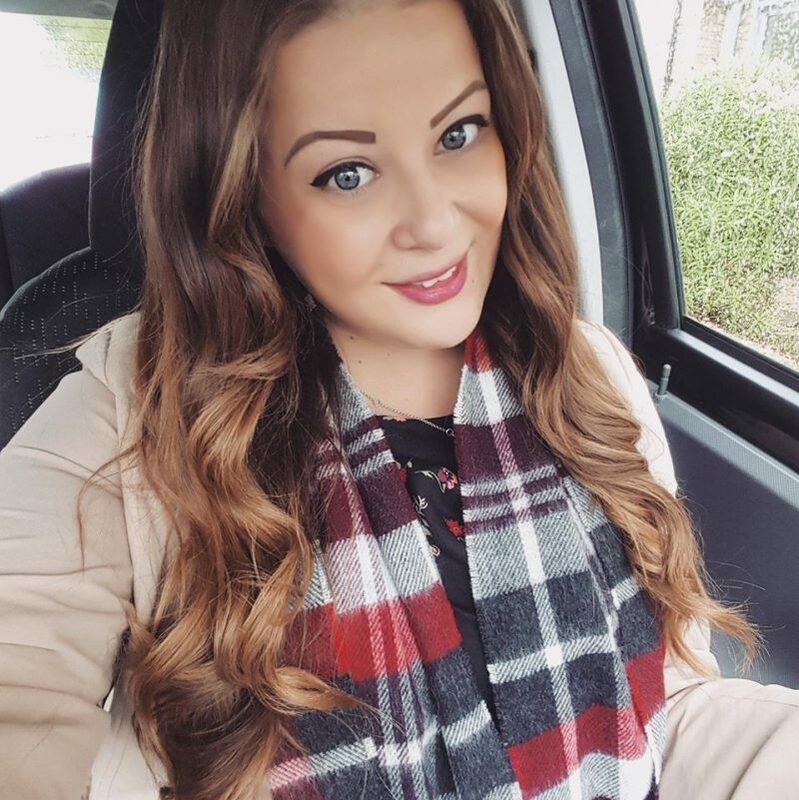 Throwing it back to the 70’s and 80’s era, when it would be usual to see homes covered in geo prints, think back to That 70’s Show with Mila Kunis and Ashton Kutcher and the funky prints that were on show. If you don’t want to go print overboard, adding a feature wall is a seamless way to add a touch of classic to a modernised home without going OTT. Your interior design should be about you and the style you like. There’s no harm in trialling different trends and adding a touch of new to your vintage home. 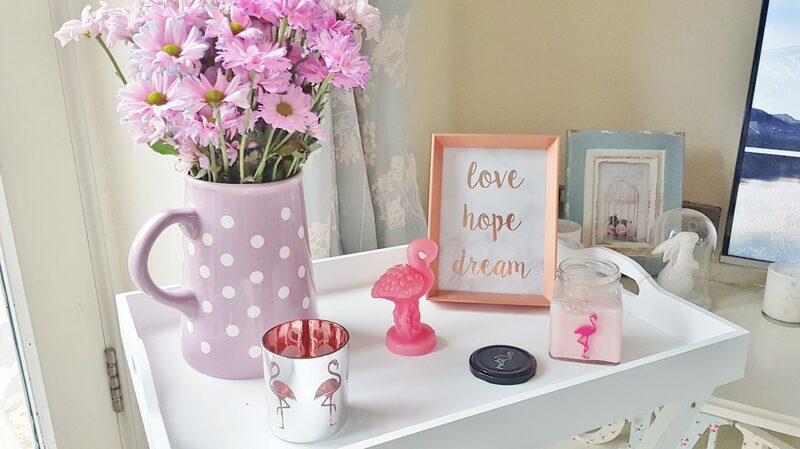 If you’ve had a look through my Instagram, you can tell I love all things floral and anything flamingo print! One of my shelves features my favourite vintage-esque Pip Studio and Cath Kidston chinaware on show, alongside some modernised copper metallic ornaments. Find ornaments, colours, furnishings and lights that suit your personality and the finish you’re looking for, and don’t be afraid to experiment with new trends! Whether you add vintage lighting, a geo print feature wall, a pastel coloured tablecloth or a rustic looking side table, it is easy to add a splash of retro into your interior design! Hopefully, these vintage interior tips have given you some inspiration, which trend will you be giving a go in your home? Great blog! Your home looking pretty and vintage. I definitely gonna apply your tips to give my home vintage look. Thanks for sharing.